Pat and I took some time yesterday to do some exploring. We often like to look for rural/wooded property for sale. After a late lunch, I pulled up the GPS on my phone and we took off down unknown roads. At one of our first stops I spotted a line of barbed wire fence along a narrow dirt road. I had to snap this picture. I took a few more that included the rusty fence post, but they didn't turn out as well. It was a great day of adventuring. However, today we woke and sought comfort food. 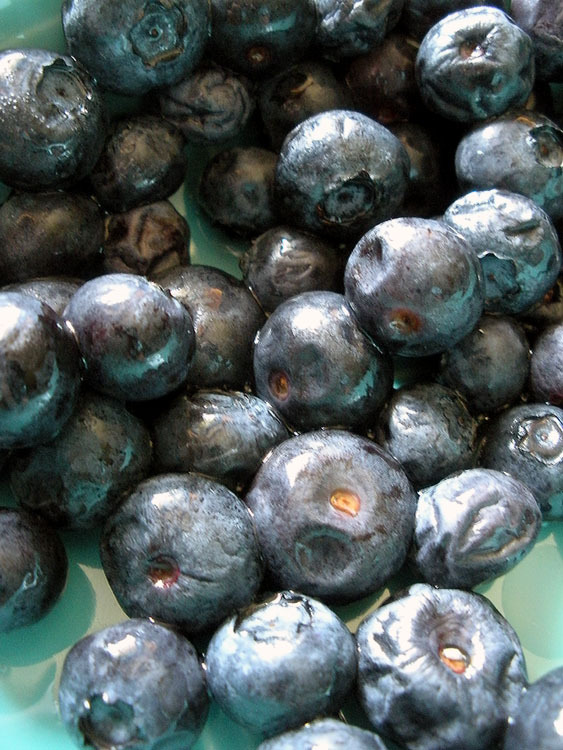 So, I grabbed a container of Shake 'n Pour pancakes and some blueberries and proceeded to make breakfast. 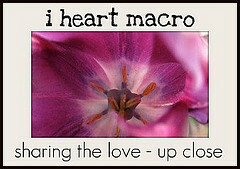 Link up your macro pictures at Studio Waterstone on this I Heart Macro Sunday!! 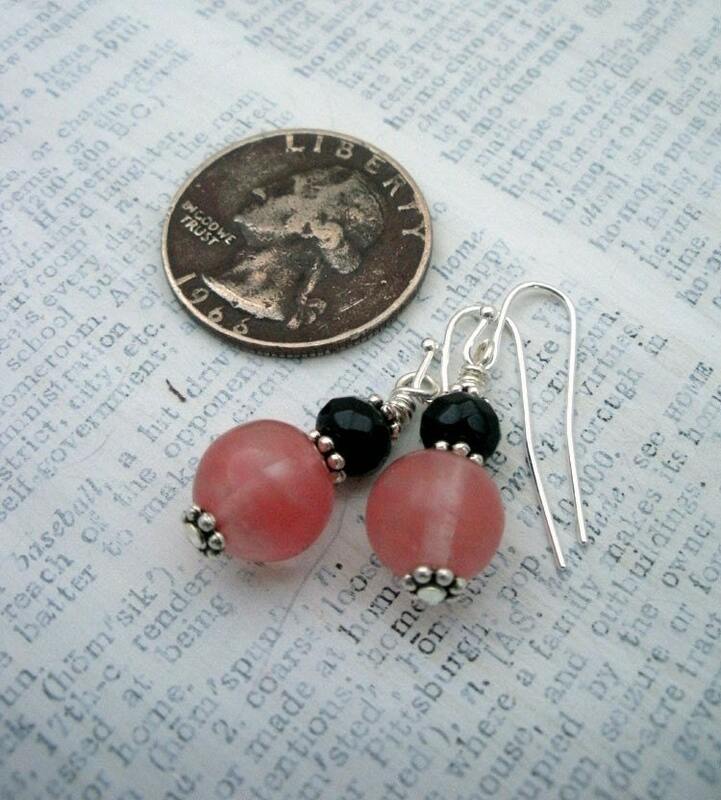 Before I head out to see where THIS day takes us, let me mention that I placed several items On Sale in the shop this morning. Here's two of them! Now to find some adventures for today! 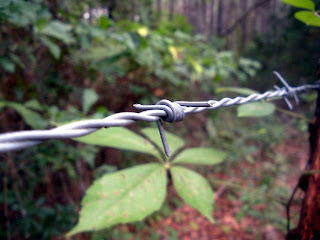 Barbed wire reminds me of the musical "Oklahoma! ", and now I'll be singing "Oh, the farmer and the cow man should be friends..." for the rest of the day! LOL ;) Love the pictures too! Have a fun day adventuring! Isn't it fun to just get in the car and go exploring you never know what's going to be around the next curve in the road. The pancakes look delish better than what I had. LOL!! Those pancakes look so yummy! Have a wonderful journey! 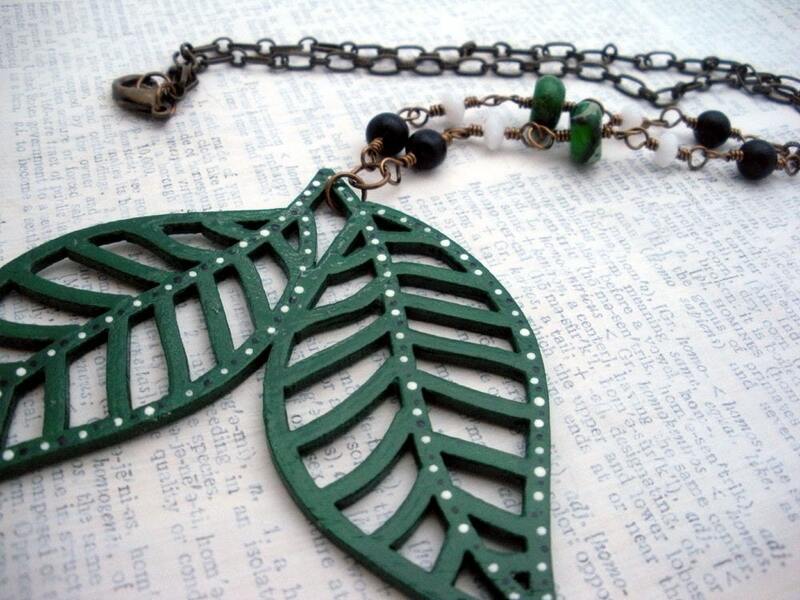 I love that leaf necklace! so cute! happy Fourth of July, Hope! 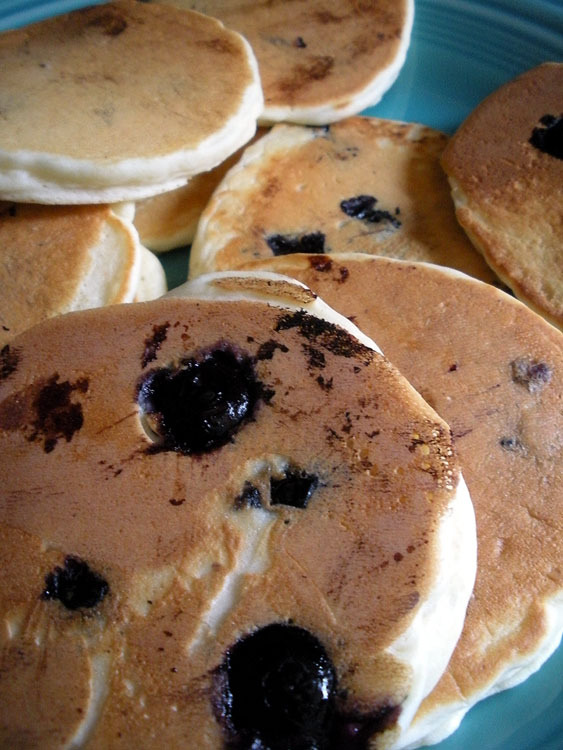 What a nice little adventure...and the perfect ending - blueberry pancakes!! They looked yummy for sure. Wanted to tell you a big CONGRATS on completing the muffin tin challenge - your jewelry turned out beautifully. What an inspiration that you were able to complete the challenge! Those blueberry panckakes look divine! I can almost smell the syrup! I hope you had a great 4th weekend!